A missing or deleted text message might seem like no big deal, but what if it contains important information about your job or a personal matter? With the number of smartphones being used today, text messaging is one of the most relied upon ways to communicate. While most text messages are no big deal, luck would have it that the one you lost was critical. 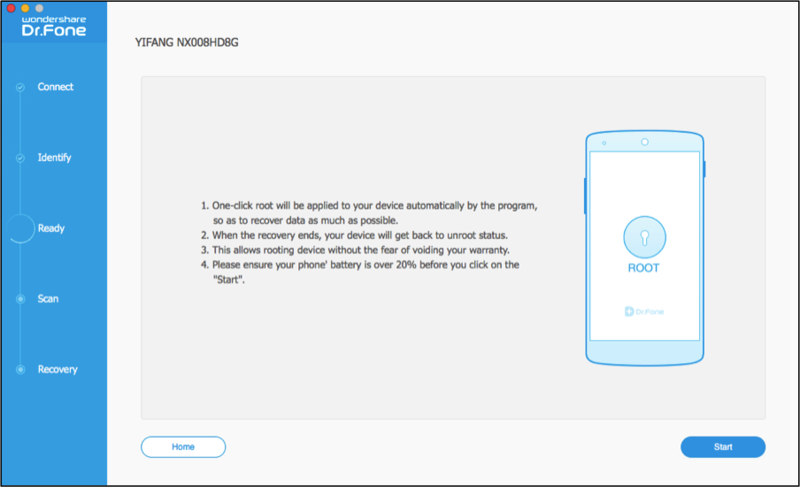 Worry no more; a recovery tool will be able to locate any deleted text messages on your Galaxy Note 5 for quick retrieval. With Dr.Fone, you are able to view the scan results, locate specific texts, and then select only the items you want to recover from the phone. Additionally, Dr.Fone provides features such as search and options to view only deleted messages to make this process easy. 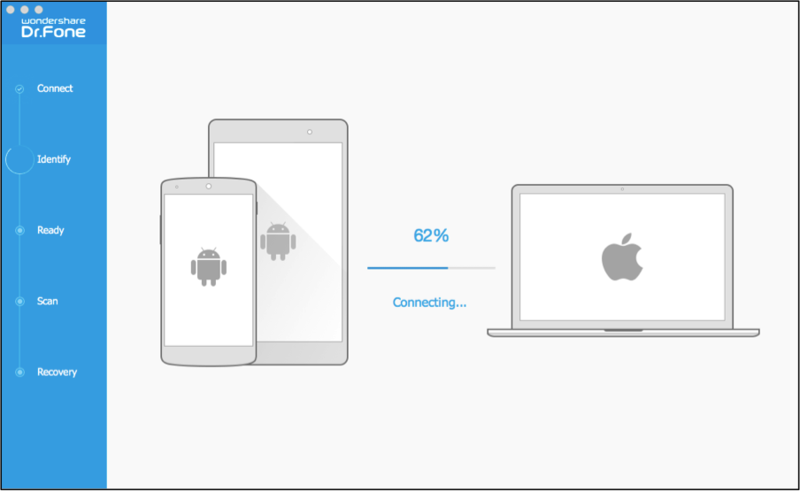 Dr.Fone for Android offers an install for both Windows and Mac. The following tutorial is performed on a Mac computer and has been provided to help you recover deleted text messages Samsung Galaxy Note 5. Step 1: Pick Text Messages. The first task will be to remove all selections but Messages for the recovery. Since Dr.Fone automatically chooses all file types, you will need to remove these other items. Click Next after you have finished. Step 2: Allow Dr.Fone to Evaluate the Device. A scan cannot be started until the device has been analyzed and one-click root is applied. Click on Start and then wait for these processes to complete. Step 3: Scan for Messages. You do not have to perform additional steps to scan the Galaxy Note 5. This process starts immediately after analysis and its status may be viewed in the progress bar on top. At any time, you may click on Messages in the left panel to view currently located data on the phone. Please note that the Recovery option at the bottom of the screen remains disabled until the scan is finished. Step 4: Select Messages to Restore. Dr.Fone for Android selects every located item by default. To restore all items, just click on Recover. To customize the recovery, first uncheck the box to the left of Messages. After which, click on Messages to see the scan results on the right. Then check each message you want to recover or click on the displayed message to view more information. Uncheck the box next to an item to remove it as a selection. An option is provided for viewing only the deleted data on the phone. To just see deleted messages, move the slider bar located at the top of the utility for the “Only Display Deleted Items” option. Step 5: Complete the Message Retrieval. A Recover button resides at the bottom right of the screen. Click on it and Dr.Fone will retrieve the messages and store them in a desired location on the computer. Allow Dr.Fone to evaluate the device. The utility is not only an option for your Galaxy Note 5, but may also be used on a variety of other Android tablet and smartphone models. If you are using another model, the steps will be precisely the same! You can download and give it a try before making a commitment. Just perform the scan to see what data you can recover from your Galaxy Note 5.